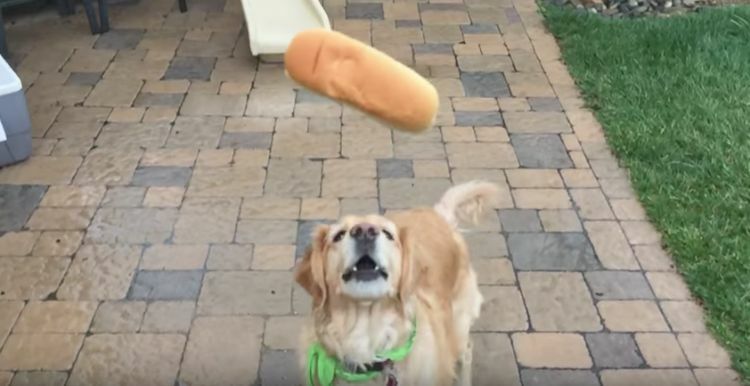 When I first saw the headline of this video, I thought it would be about a dog chasing a ball. Which my dog won’t do. You throw a ball for him, he just looks at you. 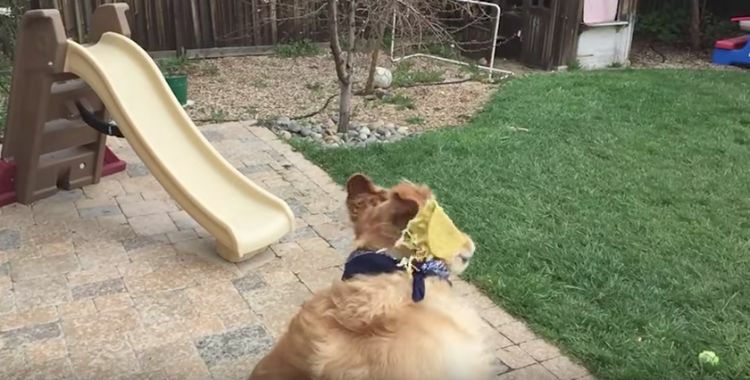 But this dog is way funnier than a dog who won’t chase a ball. 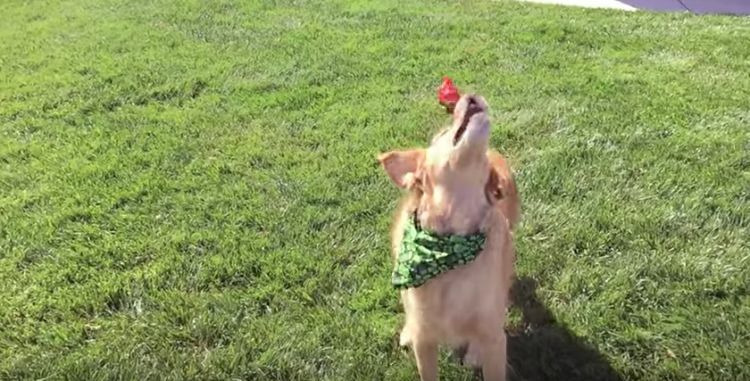 Fritz, a Golden Retriever, is learning to catch food tossed his way. Except he can’t seem to catch anything. 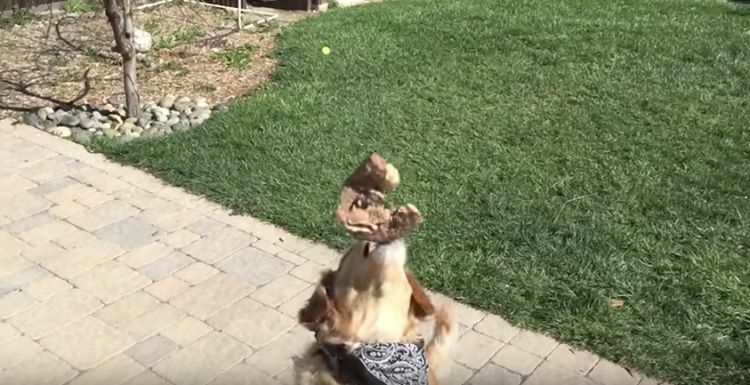 Over and over, his person throws a wonderful treat in his direction, only to have it fall short. Or long. Or sideways. Fritz doesn’t seem to have good eye-hand, er, -mouth coordination! 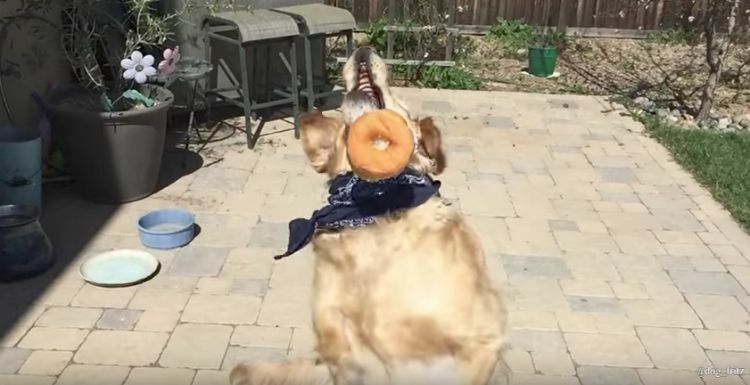 "Fritz Dog is a YouTube channel that celebrates both Fritz's unique inability to catch food and his positive, can-do attitude," the owners wrote on YouTube. "While we all intently anticipate the day when Fritz masters the skill of catching food in his mouth, we also patiently embrace the journey." And it’s a good journey! 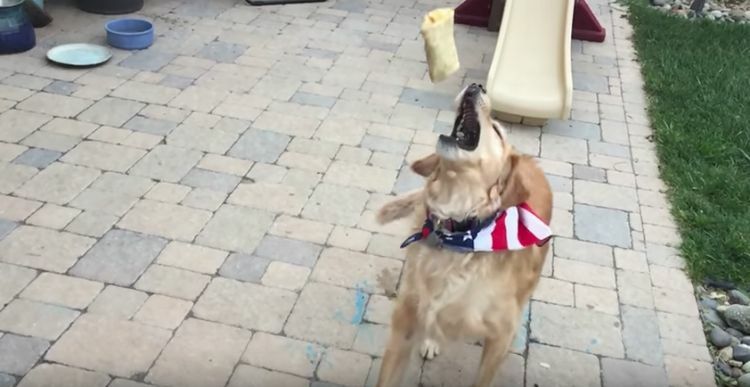 Poor Fritz tries catching all kinds of food, from strawberries to tacos, but no matter how hard he tries, the treat just doesn’t quite make it to his mouth. Don’t panic, though, thinking that there’s anything wrong with Fritz’s eyesight. According to his owners, his sight is just fine. 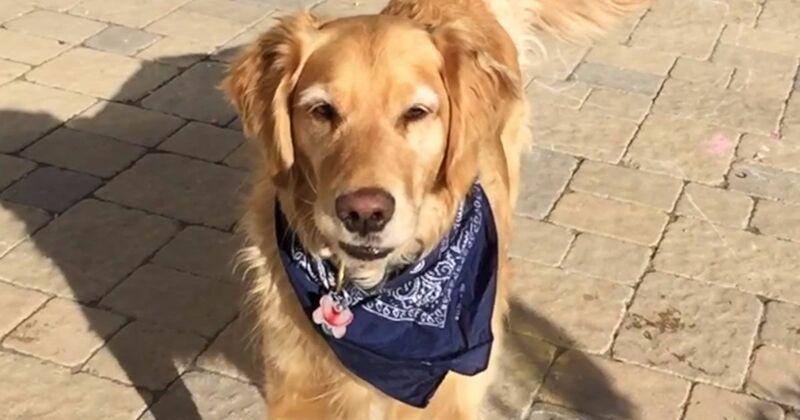 Some dogs do have problems catching because of poor depth perception, according to one commenter. And other dogs just don’t want to catch. But that's not Fritz! You know he wants those treat so badly, yet no matter how he tries, it just doesn’t seem to work. 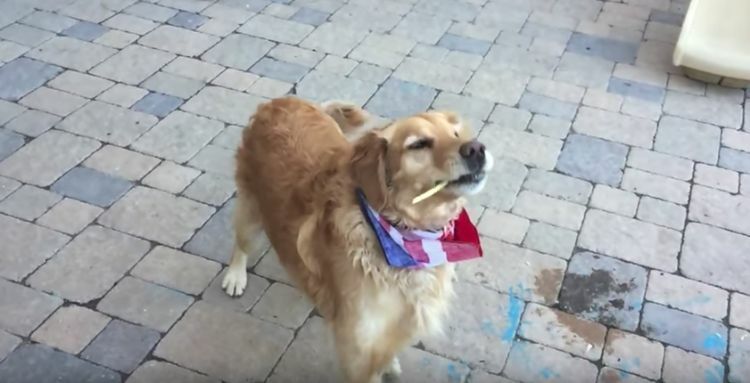 Finally, after many failed attempts, his persistence pays off, and he (barely) catches a french fry. Now, in my opinion, that’s the best thing to catch, anyway! Watch poor Fritz try again and again. What do you think? Will he eventually be able to catch whatever’s tossed in his direction or will he give up and just grab the yummies once they hit the ground? What does your dog do?